Being stripped of a Right without ever having gone before a Jury-Trial. HB2227 is also and abomination to the 6th Amendment of the Bill of Rights. The NRA’s messaging needs to start talking about other Amendments to the Bill of Rights in a much more blunt and direct manner than what it does now, pertaining to how the Gun-Banners are in truth, using their attacks on the 2nd Amendment to strip us of other Rights. 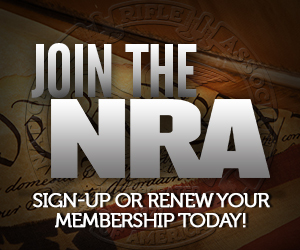 I don’t really want to use this discussion to badmouth the NRA, but their efforts with things like NRATV would be much better directed to, assuming some of us have a brain cell or two and would appreciate a detailed discussion and analysis of such points, rather than the Angry Dana Culture Wars propaganda. I think you can find lots of other examples of rights-stripping without a jury trial; I think the question is whether the “due process” was sufficient for a matter as important as stripping someone of their constitutional rights — whether the Second Amendment or Article I Section 21 of the state constitution. Not to belabor the issue with obvious examples, but someone can be convicted of a disqualifying offense, without ever having been tried in front of a jury. Sorry to make a quibble around one word! I’m not sure how that’s constitutional. I’m also not sure how the GOP manages to come up with this kind of stuff & think it’s a good idea. E-mailed my rep (Republican) and got a reply this morning. He seemed to be unaware of House action on either of these bills. He is (most likely) supporting 2060 and opposing 2227 the way it stands. I would expect the GOP caucus to fall in line similar to his vote positions if I had to venture a guess. Unfortunately the time to oppose the PFA stuff was back when the PA legislature ventured down that path about 12 years ago. From experience, I’d interpret that as the Republicans have decided when they will pass the bill, and the NRA has promised cover for any Republicans who are criticized for it. In June 1995 my Republican rep assured me on the phone “there will be no action on gun control in this session.” That was one week before he voted for the most comprehensive gun control package to that time. The NRA had dubbed it “The Sportsmen’s Omnibus Anti-Crime Bill,” and in their October members magazines claimed the passage of gun control in our state as one of their major legislative victories for that year. Not to disparage your example, but your PFA example was small potatoes by comparison. The ACLU was very much an ally to our network in successfully resisting some of the anti-constitutional (in addition to being anti-gun) legislation being pushed by then-AG Mike Fisher back in the late ’90s. The gun rights guys forgave Fisher in time for his later unsuccessful run for governor. I don’t think the ACLU ever let Fisher off the hook. The ACLU also played a material part in causing the shutting down of a city-sponsored “gun buyback” program in Allentown. One of my friends attempted to do “gun appraisals” in front of one of the buy-back sites and was threatened with arrest. He gave in because he couldn’t afford arrest at the time. I contacted the ACLU on his/our behalf, and the ACLU sent a letter to the city saying if they ever violated our First Amendment rights again, there would be hell to pay. Rather than deal with the ACLU, the city scrapped the whole affair, and substituted some sort of “educational” “gun safety” program. For background on the Mike Fisher situation this is an artcle I wrote about it in 2002.